I came across a couple of Instagrams from Lee Ranaldo of Sonic Youth. He mentioned “Back in tha studio”. 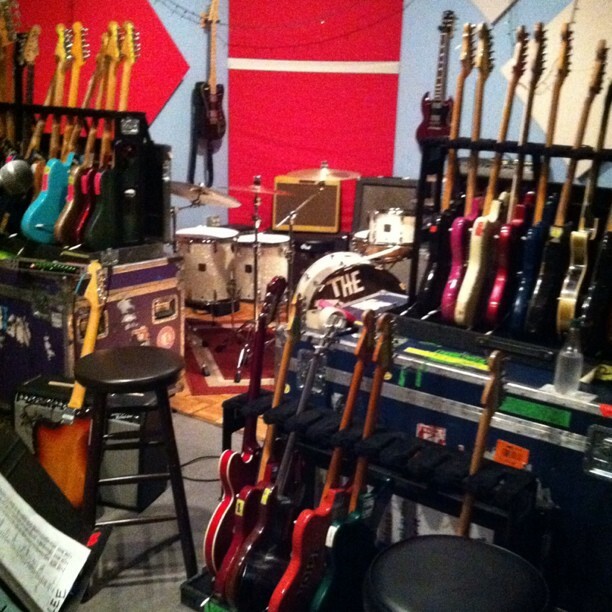 On the page he posted a couple of gear shots, and I knew the guys here would be into seeing stacks of guitars. 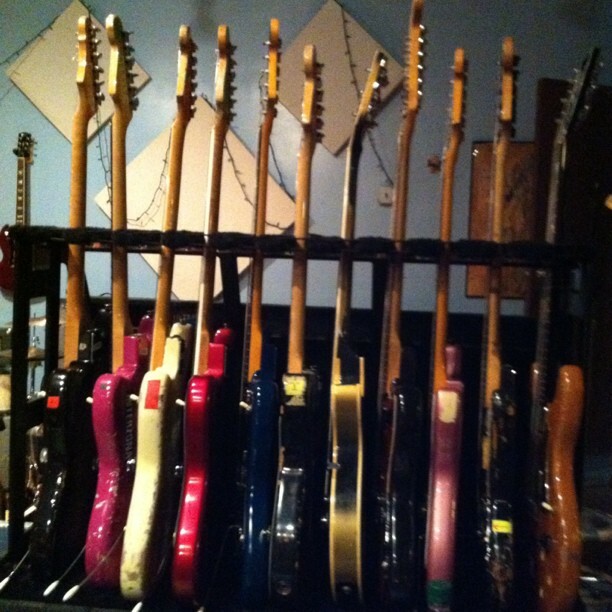 Let’s see, I see a ton of Jazz-blasters, a couple of Travis Beans, SG, ES-335, Fender Bass VI, Les Paul.. what else? Comment below! Schecter Ultra VI (Bass VI) Sonic Youth’s Lee Ranaldo Pedalboard David Bowie & Sonic Youth – “I’m Afraid of Americans” My new guitar – EGC Series One! i would be very interested if this is sonic youths original gear before it was all stolen in 1999? Nope.. this is WAY after that. I should write my interesting experience related to the stolen gear of ’99. I know Lee had one Travis Bean returned in good shape, the bullseye Bean came back in horrible shape that he fixed. I think he got one JM back too. Not much. Regarding the rest of the band.. I think nothing came back, but I could be wrong.